Born in Brooklyn, New York, Isaac J. Cabasso was brought up in the Syrian Brooklyn community and was influenced by the generation of Hakham Moshe Ashear, Ezra and Naftali A. Tawil, Eliahou Menaged, Gabriel A. Shrem, and his uncle, Ezra Sayegh. Isaac Cabasso and his uncle Mickey Kairey were students of Hakham Eliahou Menaged. Isaac Cabasso is affectionately known as “Cabby” and his beautiful hazzanut, delivered by his mellifluous voice, represents the authentic customs of the Aleppo Jewish community. 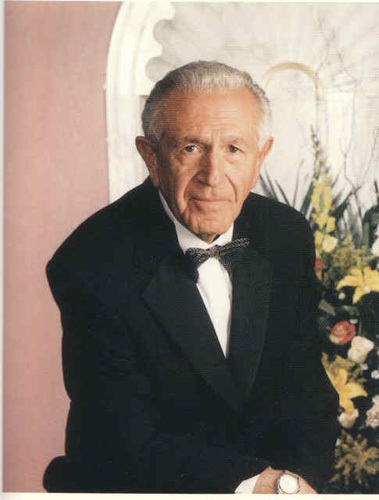 Isaac Cabasso was the official cantor of the Community Junion League (the Youth Congregation) in 1959 and later joined Congregation Beth Torah, where, nearly 60 years later, he is still currently the hazzan alongside famed cantor Yehezkel Zion. He is also on the board of Beit Edmund Safra Sephardic Synagogue in Aventura, Florida. He is a senior advisor to the Sephardic Pizmonim Project and has recorded over a hundred pizmonim recordings throughout his career. Cabasso was also on the original pizmonim book committee in 1959. Isaac was married to Claire Mishaan a’h, and has four daughters: Marilyn Tawil, Lorie Jonas, Debbie Rahmey and Ellen Cohen. 860 Gahalah Maqam Bayat This Qaddish in Maqam Bayat is said to be a standard for Arbit of Saturday night. 2107 בן אדמה Yehuda HaLevi Yom Kippur. 2118 ומבלעדיך Sample of how to read plainly after Nishmat and throughout the prayers prior to the Amidah. 2119 שועת עניים בלתי נגון Most commonly used. 2120 אל ההודאות בלתי נגון Most commonly used. 2642 מלכי איום ונורא Ezekiel Hai Albeg Maqam Sigah Lehen: Wansit Ta'abi. Pizmon by E Albeg, in Maqam Sigah, composed in honor of H Mordekhai Maslaton on the day of a Torah Dedication in Congregation Ahi Ezer. Song mentions Menorah. E Albeg, "Mizmor Shir." 2643 Allamou Kaifa Yagfou Maqam Sigah Arabic song of Abdel Wahab; Maqam Sigah. Popular tune for El Hahodaot. 4859 El Leil Yetawil Alayah This is a song from Abdel Wahab. Using this for Nishmat on Yom Kippur was an innovation of the Tawil brothers. 5568 שירו לאל ברכו שמו שלמה Maqam Sigah Old SU. Old SU. 5569 קדיש המערה Maqam Rahawi Nawah Qaddish Ha'Me'arah, literally "The Qaddish of the Cave," is named such, because each Friday night in the Great Synagogue of Aleppo, they used to go to the Cave of Eliahou the Prophet, read Tehillim, and use this tune for Qaddish.